We are building a scalable platform that accomplishes the following: Builds a bridge between the world of cryptocurrencies and the real world, letting users freelance or hire freelancers, rent or rent out cars and real estate, exchange theater subscriptions or gym memberships, and more; Creates a horizontally structured market and redistributes income from middlemen directly to service providers, asset owners, and community members; Offers a new level of deal transparency, information accessibility, and trust among market players; Eliminates currency exchange fees and international transaction costs, reducing travel and business trip expenses; Solves the problem of the sharing economy taxation thanks to the use of WONO1 tokens; Introduces new blockchain deal formats, including deal chains and deals with trusted payments; Strengthens the role of community in system regulation using crowd deal insurance and crowd deal arbitrage. I am concerned about how general the vision and the product is. It is about almost everything - car rental, hiring freelancers, real estate, gym memberships "and much more" according to their whitepaper. There should be a focus, the marketing targets should be prioritized (in the product development and promotion plan etc). The team does not look experienced and no international background found (COO and CMO worked as an editor and marketing specialist due to their Linkedin profiles). Though I appreciate deep financial planning approach in the WP, competititve analysis is missing. And I dont see the MVP link, is MVP available to check? The team have increased his potential adding international specialists, good decision. They now have a mvp up and working, that shows they are doing well his job. But this project is totally out of focus, they want to touch too many things. "WONO is a decentralized P2P (peer-to-peer) platform for exchanging any property and services." Looks like you're trying to do many things! Which is the key focus? Same as Nikolay, Wono Team added international specialists with big experience plus they have the MVP now. exciting. I seriously doubt about this project - their claim is to combine Airbnb, Turo, Upwork and TaskRabbit on blockchain! Hard to believe the concept would work as it would be more confusing for users than actually solving real world problem. I cannot even imaging all these companies work as one even without Blockchain! The solving problem just by combining all their functionalities using one Token is not practical. Not very strong team to achieve this goal solid way or can prove they will do. I 100% confirmed they are not able to deliver this after looking at their MVP! Sorry to say but it's nothing against 20m funds expectation. They need to show some dedication and develop some sort of innovative product rather than putting bunch of images which any designer can do less than a day!! Update: Team add international specialists with big experience. Also now I see MVP. Great job, guys! I change my rating and respect! Old: The team lacks experience. Team quite good, but still the international specialists are necessary. Vision of the project is very disputable. The idea is very good, but at my modest look, it is better to be focused on something one and is powerful, than to be sprayed on a set of the directions. There is a big risk everywhere to fail. So far I dont see MVP therefore I put 2 if show MVP I will raise rating. There are lots of Project that Focusing on same kind of vision. Its not good to Focusing on 4-5 Departments. I would rather suggest to Focusing on 1 rather than 5. Its like a mess to see 4-5 Problems Together. This Market is a challenging Market. You can Only survive if you have Unique vision also have good Strategy. What kind of MVP this is I dont know i see the Concepts only not MVP.. Those are Pictures. After big Conversation with team I rise my rating a little bit. I don't see a clear and transparent idea from the team. For each industry sharpened a separate product. You can't mix real estate and freelance together. Looked MVP this is simply pictures. There is problem with product and value proposition for customer. People ready to pay a lot of money if it is comfortable for them. How will you compete with all well-known services? Wono is trying to do too many things at once. You required big team and really good vision to achieve this. MVP is very basic. There is no timeline about the project. Team is good but the vision and product lacks clarity. Best of luck team. Well, this is the most "out of focus" project I have seen so far. Lack of clarity and lack of perfection is very evident. I find typos in the description and also in whitepaper. Industry where competition is crowded. The difference with competitors is business diversity. But this is also paradoxically an element that hinders the completion of the project. The financial plan is beautiful, but it is unknown whether the team can realize this. Does the team have such physical strength? The fact that MVP does not work strongly appeals to me for these uneasiness. *As the team improved, I improved the score. Team is good but they lack international experience. Besides, the main cause of worry for me is that they are trying to build a very generalized product. I think they should really focus on one niche and run with that. The whitepaper is very well done, including detailed explanations and formulas of operations and processes. The team looks capable, however they are light on having an established and stable track record. I am very concerned about them trying to possibly take on two very different industries as opposed to focusing on one vertical. Interesting project with a good looking team, and an interesting take on the p2p world. I am interested to see how it progresses although I doubt they can get a tax free pass as they state. Team - core team is a little inexperienced in leadership and crypto-market exposure. Some good advisors help to add a little moe experience. Vision - a little scattergun in the approach. The project should be implemented one business stream at a time to stop it being spread too thinly if they are aiming to cover so many industries. It's a good use of blockchain tech, but without a focus on a single industry to start with, I think it may be difficult to implement. I'm not sure, in my opinion, given the assumption of token appreciation for potential investors, that the tokens would pass the Howey Test either, due to this marketing alone. Product - can't find any MVP on website. Given the relative simplicity of an app for this kind of project, I'd have expected to have seen at least an example of the platform at this stage. Good luck to the team with the implementation. I hope that they choose to focus on a single industry primarily and get the project walking before it attempts to run. Product seems very generalized as everyone has mentioned. Perhaps a clearer outline on which features come out first could help ease the concerns because it definitely does not seem feasible to have everyone come out at once. It seems like it's good to have many kinds of business, but the difficulty to realize will be higher. If there is clear winning in everything, I think that it will turn out to be a strength. 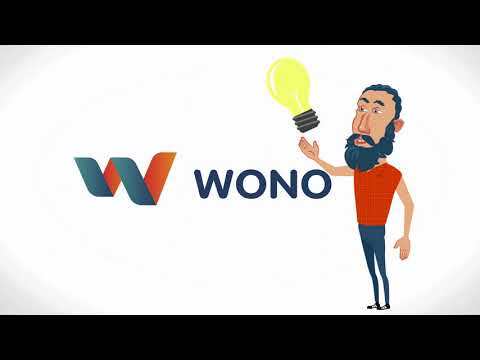 Wono, a rentals and freelancing platform that aims to solve the common business problems. removing the middle man to provide commission-free payments to the creator is a widespread issue. This platform might end up helping a large population. The downsides to this project is that the team lacks international experience. The domains are too scattered, which might take away the focus from a core business strategy. Very strange project in my opinion. Fist, they are creating what looks like just a general sandbox of a potential applications. Blurry explanations in WP, lack of MVP kind of gives a hint that the founders are unsure about it themselves. Tried to find some articles with more detailed explanation but failed. Previous experience of the team also raises multiple questions regarding their expertise. I feel the team can achieve a lot, the core team is decent however the advisory board is quite strong. If the advisors give the right advice and introduce the team to the right contacts, they can make good moves. After conversation with Alexey I really convinced on my thoughts - people CAN and MUST live without money. They just need appropriate records in public ledger - thats all. I see and believe that WOHO team could make this dream come true! I think that the whole platform is too complex requiring arbitrators, guarantors and complex compensation schemes. Even though it is integrating all these successful platforms into one, the fierce competition it faces makes this project a very risky investment. For a project like this to succeed, it must be simple, fast and reputable. And I do not think this project provides a good mix of all these features. Team is lacking credible crypto experience. I cannot see a concept as big and encompassing as this succeed. If there is one thing I learned after ten years of startups, it's that you should be focused and have a clear goal. This project seems to be all over the place trying to combine 5 projects into one. The absence of MVP, not clear which the primary function you plan to implement in first. Team become more specialized. The presentation of the idea is very high level. It should become clearer how the different platform users are incentivized to actually use the platform (and not another platform that already has a user base). The competition for such platforms is huge and it will need more marketing spend than planned to attract a user base that is large enough to enable enough deals on the platform. Congratulations to the team for investing their time and resources into one of the most peculiar projects I've reviewed recently. The whitepaper is a mosaic of various whitepapers taking some really cool bits and design, but unfortunately completely out of focus. It appears as if the team got stuck in 2016 when one could raise money with a piece of powerpoint and a few faces. These times are gone and the team needs a problem statement and a solid product definition. It probably also doesn't need 87 pages. This also made me laugh "Alexander Esaulov (CEO) came up with the idea of WONO on a flight from Los Angeles to St. Petersburg when he realized he was tired of being charged by all the services he uses during his business trips." Anyway, good luck to the team! As for those who want to buy their tokens I'd say to look for other opportunities. Updated score: after a nice chat with Alexey Knizhnikov, I got the point that these guys need more trust than what can be seen at the moment! Vision: A little bit our of focus, there should be more focus in one area. But the overall idea is great. Disclaimer: This is not an official investment advice or a recommendation to invest in this ICO. Investors must perform their own due diligence and not rely on ratings to make their final investment decisions. Investing in ICOs has it risks and 100% loss of capital is possible. Team : Core Team Members are very Inexperienced in Blockchain n Crypto domain. According to location of core team members which will also be a negative point for the team to work together n efficiently. Vision : The project is based on Sharing Economy which is growing rapidly as consumer interest is shifting toward sharing of space, items & services instead of owning it. Blockchain surely can help in making the peer to peer business easy n fast in sharing economy. Wono's White-paper shows strong financial & business planning in terms of strategies but they have missed the competition present in this domain in Blockchain & Non blockchain world. Few things need to be taken care of example. E.g To rent a flat the user has to collect all his money of smart contract in terms of token to serve the contract which is not feasible of a monthly salaried person. Product : No MVP is Present. The Link provided is just a presentation of the App screens which can be easily build in photoshop. Absence of MVP shows the lack of trust in own project & also giving wrong link just to create confusion among Investors. I see a lot of mixed ratings, which shows me more a lack of proper messaging than a problem with the platform. Communication style is important. But so is an easy way to be able to freelance, and find that right opportunity that will keep the lights on. Also being able to rent is very important. I remember this one time when I was at the club and I wanted to meet this woman but had no way to get her attention. So I asked my buddy if I could rent his girlfriend’s attention for 5 minutes, and she made the introduction. I wish I could say it worked out with meeting that woman but I had too much to drink that night and couldn’t even pronounce my name properly by the end of the night. Still, renting and freelancing is important and this project tackles both at the same time. The idea is not new and doesn't represent a specific industry. The business model is vague. completely out of focus. seems like vision is not clear to promoters themselves. Misinformation on website and GitHub seems to be bin of random applications in WP. Core team is not adequately experienced though now has international expertise to back. Hard cap is 20 Mil which is completely out of line for this kind of project. The problem statement is too complicated to deal with this sort of solution. Is it a platform or protocol. if protocol, how do you justify same? Overall, the intentions doesn't seem to do business but more inclined towards ICO. I would give it a pass, in my personal opinion. Disclaimer: This is not financial advice or a recommendation to invest in this or any other ICO. This is completely my personal opinion. Investors must perform their own due diligence and not rely on external ratings to make their final investment decisions. ICOs are risky and 100% loss of capital is possible. Smart contract not verified on etherscan. 17 addresses holders on Aug, 20 and 413ETH raised funds? After analyzing these 17 addresses I concluded that there is no such amount. This ICO not clear. No MVP. On your website showed ICO Bench rate 4.8? Really? Unfortunately, I can't say anything good about this project - at least at the current stage. The team lacks experience, and there is no MVP available. The White Paper confuses me a bit. In my opinion, they are trying to combine too many things into one project. Last but not least, there are currently a lot of strong competitors acting in the same field as WONO. Low quality White Paper and documentation. The absense of an MVP version. Bad ICO PR campaign support. Unqualified team and the lack of blcokchain expertise. Why don’t you concentrate on a niche market instead of targeting all these industries? It is confusing for investors. The project is extremely ambitious and request a much more experienced team. Coming up with the idea and forming a business concept. Private Pre-Sale, preparation of vital business documents (Blue Book, Pitch scenarios, planning the business structure development, publishing an interactive mock-up of the project. Establishing the structure of the business, public Pre-Sale, ICO, placing tokens on crypto stocks, audit and requirements testing of the WONO PROTOCOL: economic model / security testing. WONO PROTOCOL publishing, launching the technical support services, forming a preliminary strategy of the product development, audit and requirements testing of WONO API: product model / security testing/high load. Launch of the WONO API, setting final product strategy, audit and requirements testing of thе WONO CLIENT: product strategy / product model / security testing / high load. Launch of the WONO trial version for the test Ethereum network, start of the preliminary marketing campaign, start of an aggressive PR-campaign. Trial launch on the market, user migration from the test network to the Ethereum network, preparations for the massive user registration. Scaling the project, launch and expansion of the public marketing campaigns. Launch of the partner program, product strategy updates, project growth support. Analysis and further business growth.